Making your wedding rings with Selina provides couples and individuals the opportunity to hand craft their own wedding rings. Are you getting married or having a civil partnership? 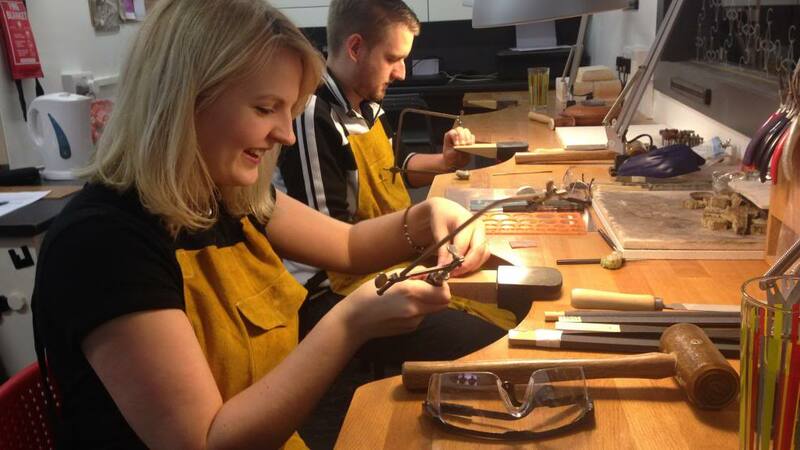 Selina can help make your wedding rings to your own requirements. Assistance will be provided with aspects of making process such as forming, soldering and finishing the personal rings, adding any desired finish. Learn about the jewellery expert making process while building your wedding rings. Before beginning to make the wedding rings participants will learn basic jewellery skills. The workshop starts at 10am and finished at 5pm. It is achievable for couple or individual to make their wedding rings in one day, however if the design is more complex it can take more time. Create the perfect ring by adding engraving, plating or diamond stones, these can be added to the rings after they have been made. Stones are set by a professional stone setter. Diamonds or other precious stones can be set of your choice to create the wedding ring of your dreams. Couples can either make each other's rings or make their own wedding ring for their special day. Alternatively one person can make both of the wedding rings. Before the session take place the design, material and size requirements of each ring will need to be discussed and approved by Selina. Anyone can make their own wedding rings, taking your time to craft your rings. 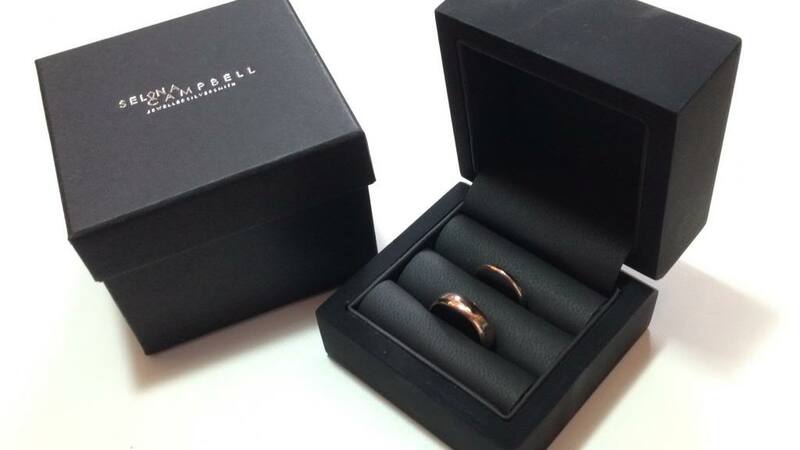 Creating a memorable experience, having made your very own handmade wedding rings for you and your partner. See below our happily married couples comments. Prices can vary if extra metal is needed, this includes if extra metal is needed to be added to your recycled metal. Materials available to make your wedding rings from : Sterling silver, 9ct yellow gold, 9ct white gold, 9ct red gold, 18ct yellow gold, 18ct white gold, 18ct red gold. We do not offer platinum wedding ring workshops. Recycling old gold or silver is available, speak or email Selina to discuss your options. Click here to contact Selina. Add on's are available when designing your wedding rings, such as rhodium plating, adding stones such as diamonds, hallmarking, engraving. prices start from only £20 per ring. All these add on's can be decided on day or before. Click here to contact Selina. 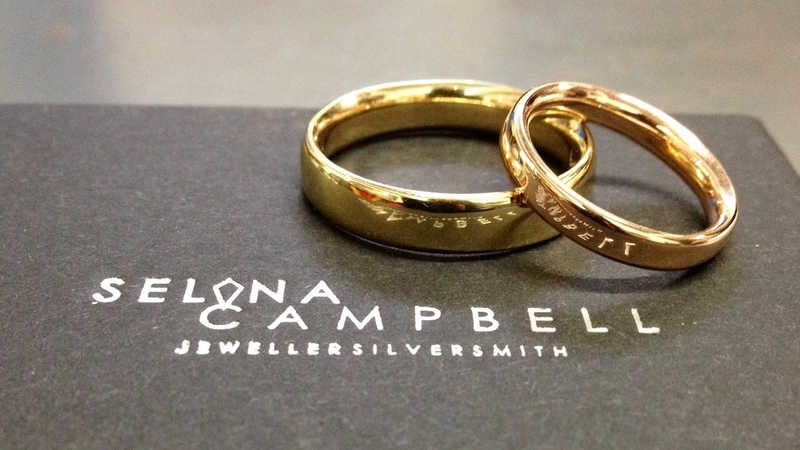 10% off all Selina Campbell Jewellery. A certificate to say couples have made the rings themselves or singularly. A selection of photographs will be taken on the day of the couple or individual making the wedding rings. 2019: February, March, April, May, July, August and November. Only on Friday's and Saturday's. Choose date in your diary that suits you in these days and months. Please Click here to contact Selina. by phone 07842567967 or email selinacampbelljewellery@gmail.com to reserve your place and discuss prices and ideas for achievable designs in making your own wedding rings. Click here to contact Selina.